It’s not just tech that SA venture capital (VC) firm Knife Capital invests in. Today the VC — which has invested in a number of SA tech deals in recent years — announced that it had invested in SA beverage startup Pura. Knife Capital did not disclose the amount it had invested in the company, which has developed a low-sugar soda beverage. Knife Capital partner Andrea Bohmert said only that the investment was a “Series-A funding round” in return for a significant minority stake. The VC company invests via a consortium of funding partnerships, including a SA Revenue Service (Sars) Section 12J VC Company KNF Ventures and select family offices. The deal was closed in November last year and is effectively the second that the R1.4-billion SA SME Fund has taken part in, since it concluded an investment of R20-million in KNF Ventures on 23 October last year (see this story). Knife Capital said the funding is to boost marketing initiatives, build team capacity, develop new products and provide working capital to ensure that Pura keeps up with demand. The startup was founded in 2015 by Greig Jansen and after an initial period of research and development, launched its drink to market in 2017. The beverage is now available in major SA retailers and is also exported to Namibia and the Middle East. Pura claims its soda drink contains less than a third of the sugar of most soft drinks available in the market – making the soft drink affordable as it falls below the country’s sugar tax threshold, which came into effect in April last year. The startup has previously been self-funded and funded by angel investors (which Knife Capital did not reveal the name of, saying only that they were angels with “beverage industry expertise”). 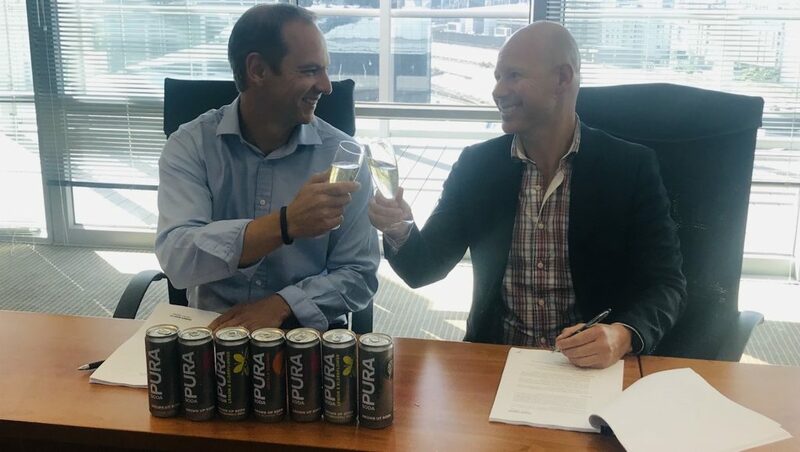 Pura CEO and founder Greig Jansen (pictured above, right signing the deal in November last year with Knife Capital partner Keet van Zyl) said the company is busy sourcing strategic partners and is primarily focused on distribution and then production in the Middle East and the UK. The company has 25 employees and his team consists of former AB InBev, SABMiller, Coca-Cola, Mars and Red Bull executives. Pura is the fifth investment from Knife Capital’s KNF Ventures fund. 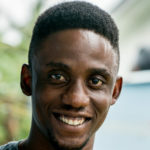 The others are ticketing platform Quicket, machine learning startup DataProphet, tutoring platform SkillUp, and Internet of Things (IoT) temperature monitoring platform PharmaScout. The investment however is the first non-tech one in the portfolio. Why then did Knife Capital invest in a startup that is not from the tech sector? Bohmert told Ventureburn that the focus of Knife Capital (together with KNF Ventures) is on “innovation-driven ventures with proven traction” rather than just tech. “This mandate of innovation and scale does practically mean that we have a tech bias, but now and then we find an innovative business that embodies everything we look for with disruptive capabilities in its own category which may not be technology. But there still needs to be protectable intellectual property, barriers to entry and traction,” she explained. She added that the investment will help the VC company to balance its tech investments with a tangible product . “In addition, there are potential synergies with follow-on investment partners and opportunities for Pura from the private equity side of Knife Capital’s business, where there is already some exposure to food processing and manufacturing businesses,” she added. Explaining the delay in publicising the deal, Bohmert said the VC together with Pura had decided to initially hold off on announcing the deal as they were concerned that an earlier announcement during the busy summer season, would have “impacted on some of the negotiations Pura was involved in at the time”. “Hence the decision to delay the deal announcement by a quarter. However it is an open secret in the investment community and has been on KNF’s Section 12J Fund marketing material for a while now,” said Bohmert. Jansen told Ventureburn that the investment came about after the company approached Knife Capital. Bohmert added that Pura’s team pitched a “compelling” business case and after a thorough due diligence she and her team at the VC realised that there was a case to be made on investing in the firm, with the traction to prove it. “There was a mutual fit on business principles and the investment was concluded,” she added. The company is not profitable yet as all the profits are reinvested in growth. However, with the current trajectory Pura is expected to be profitable – excluding marketing spend behind brand building — by February next year, said Jansen.